Ascend the staircase with manicured hedges toward a front door flanked by columns that set a tone of grandeur at Lakemont Meadows. This well-appointed, two-story home unfolds across 3,340 square feet of living space with 4 bedrooms and 3 baths. The voluminous foyer serves as an anchor to the home, with a cozy formal living room to the left and an elegant dining room to the right. The gourmet kitchen is ready for casual dinners or a culinary adventure atop stainless steel appliances with slab granite counters and cherry cabinets. A butler’s pantry and wine storage adjacent to the dining room afford convenience for daily living and while entertaining guests. The informal living space is marked by soaring ceilings and a wall of windows that invite the light into the home. Cuddle up next to the gas fireplace with a book or open French doors for a breath of fresh air or an alfresco meal on the patio. A private patio framed by hedges affords the ultimate privacy while hosting summer cookouts or enjoying a quiet weeknight evening. A nearby den/office area provides a retreat for catching up on emails or a studious project. Moving to the upper level, a balcony gives way to a spacious master suite that stands as a true haven, complete with a gas fireplace, walk-in closet and luxe ensuite with dual sinks and a relaxing soaking tub. There are three additional bedrooms/guest suites on the second level. A two-car garage is ideal for the hobbyist and the home is wired for surround sound and a security system. 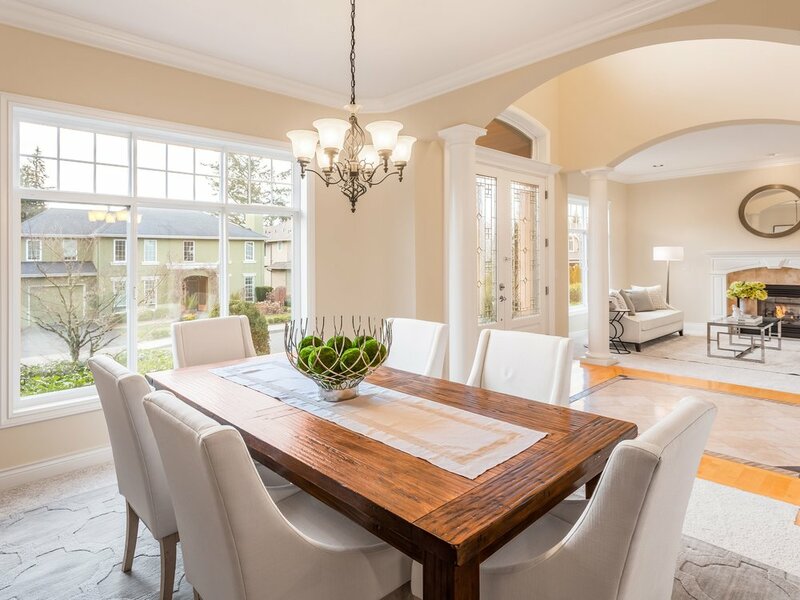 Situated on a handsome corner lot within Lakemont Meadows, a collection of 9 custom homes at Cougar Mountain, the residence is ideally located within the award-winning Issaquah School District.